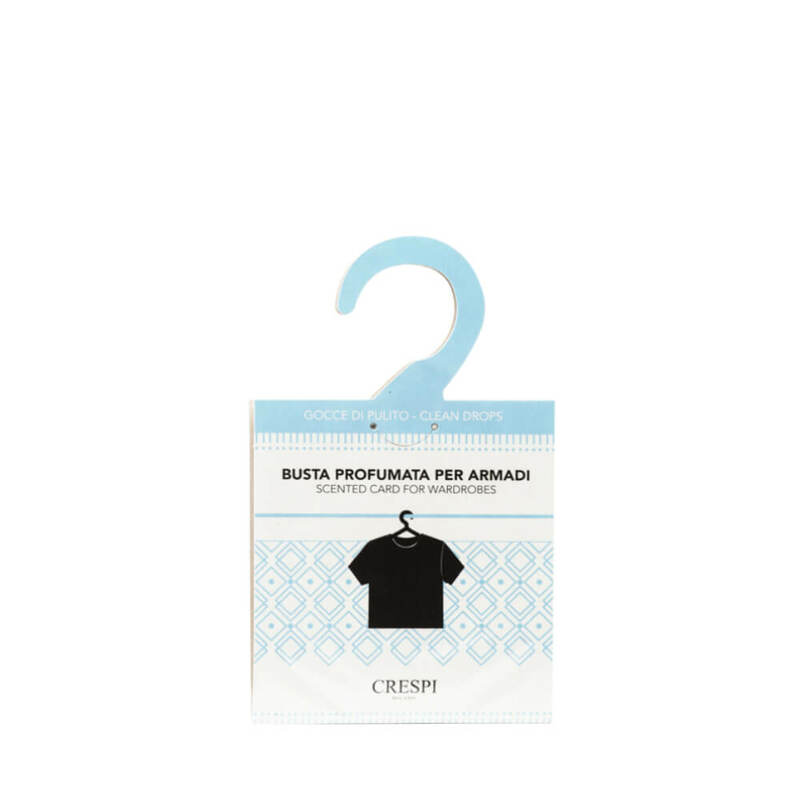 The wardrobe fragrance Crespi Milano gives a touch of freshness and scent your wardrobes and clothes placed in them. Remove the card from its protective envelope and put it back in the box, blocking the two sides of the envelope with the tab. Hanging in the closet using the crutch.